Ryan Plans the Biggest Amnesty in History? RUSH: We go to Sandpoint, Idaho. This is Casey. Casey, I’m glad you waited, sir. How are you? CALLER: Good. Thanks for taking my call, Rush. It’s got two watered-down versions of two of the four pillars that Trump wants in it. It’s not what Trump promised the people. It’s not what people are running on. You’ve got all these primaries right now across the country, and what we’re seeing is establishment Republicans are losing to the people that are saying that they’re with Trump and they’re sharing his agenda. RUSH: Yeah, this is… Folks, this is a good point. This is why I wanted to take Casey here, and I’ve got the story here that accompanies this. What is happening is, you know, Paul Ryan is leaving at the end of this term as the Speaker of the House. The establishment Republicans still are allegiant to their money masters. These are the K Street lobbyists, influence peddlers, but primarily the big donors. The big donors to the inside-the-Beltway Republican Party are still demanding a “comprehensive immigration reform,” amnesty. What is happening, is Ryan and many of the Republican establishment in the House are trying to rush it through and make it happen before these Trump-supporting Republicans winning these primaries are seated in January. You are right on the money here, Casey. You’re very shrewd; you’re very perceptive. 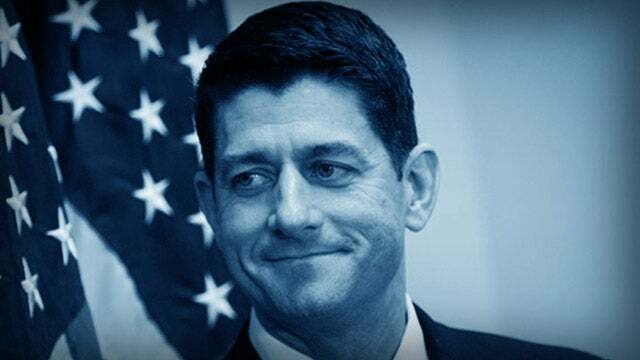 “Ryan’s plan would allow the entire ‘DACA population’ to be eligible for amnesty so long as they meet low educational, work and criminal requirements, prompting the amnesty to explode in size.” A draft of the leaked amnesty deal indicates that the objective here is to grant amnesty to as many illegal aliens as possible before the end of the year. Now, here’s some numbers. The DACA population, the DREAMer kids, the number we’re talking about here could include the nearly 3.5 million DACA-enrolled and DACA-eligible illegal aliens and even more illegal aliens who arrive in the U.S. to obtain this amnesty. 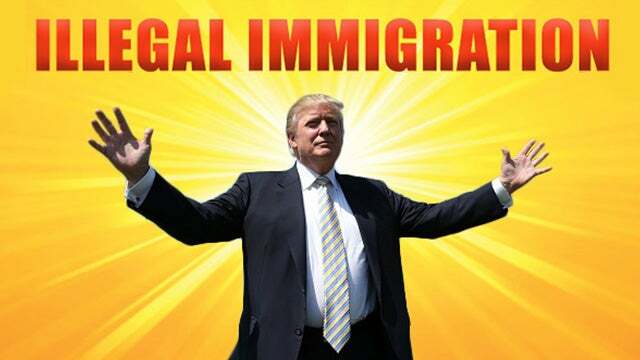 Should this pass, you can bet far fewer illegal aliens will ever be convicted of crimes because they’re lowering the bar on criminal activity that would prevent you from being granted amnesty. They’re lowering economic circumstances. They’re basically lowering the bar on every limit to granting citizenship and amnesty to illegals, and it’s not happening under the radar. I mean, we’re finding it. It’s detectable here. It’s knowable. But it is something that’s happening. What’s speeding it along is all of these Trump-supporting Republicans winning primaries for the Senate, for the House so far this year. So, yeah, you’re… I hate to say it, really, but you’re absolutely right. This is the last chance for the establishment Republicans to deliver on amnesty for all the money they have collected in donations. Look at how many of them are retiring. Chairmen are retiring. Part of that is they’re being term limited out, but, yeah, it’s very shrewd of you to pick up on this. CALLER: Well, thank you. Also in that amnesty, it shows that people here under visa programs, if their kids are of legal age, they can also apply for DACA status, and that would boost that number, not to mention in the lottery program that we were trying to end. It says for the first five years they will take the 50,000 lottery visa, the people who have won that visa, bank it over for five years, and at the five-year mark, 250,000 of them will come to the United States, and then they will allow those other years after that 50,000 per year after that. We didn’t stop anything. They’re just disguising it as another way of granting illegal aliens status here. RUSH: Right. Now, when you first called, you related this to things going on with Corker. What do you mean by that? RUSH: That’s exactly right. There is sheer panic inside… It’s just like Lisa Page, just like she felt panic when she saw Trump give his speech back at August of 2016, and she sends her text to Strzok (summarized), “Oh, my God! Trump can’t win, right? He’s not gonna win, is he?” “No. He can’t. We’ll stop that.” These people in the establishment Republican sector never expected Trump to be able to pull off any of this stuff that he’s pulled off. And, folks, it’s not just because they have no respect for Trump. It’s not just because think Trump’s a doofus and doesn’t know what he’s doing. They just didn’t think it was possible to do all these things. Remember, these are people caught up in the establishment thinking, the establishment way, which is snail’s pace change, which equals really no change, certainly never much reform. They didn’t want any of this stuff to really happen! Isn’t it amazing even now to note, despite all of this success that Trump is having — with all of the opportunity this represents to defeat Democrats for years — that his own party is not getting behind him on a lot of this? So, yeah, there’s a big push for amnesty rooted in the DACA program because of what they can see happening in these elections. They’re totally shocked. They’re taken aback. Remember, most of these people thought Trump would be sent packing inside of six months. They thought that whoever was behind this Russia operation would be able to pull it off — and who knows; maybe some of these Republicans actually believed it themselves. I think they did. I think some of them did. I appreciate the call, Casey. Thank you very much.